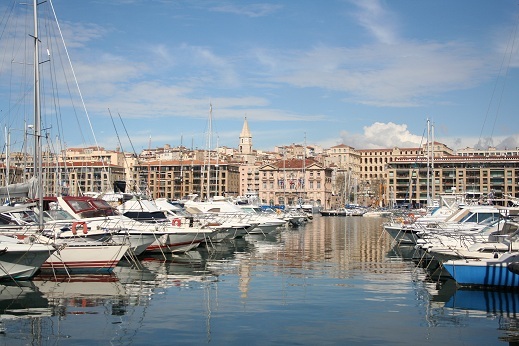 Marseille, a lively multicultural city and ancient Greek port, still continues to live from the sea. Walking from the Gare St. Charles, you can already feel it: the sound of people out in the streets and the view and smell of the sea… Marseille-Provence 2013 has extensively worked on this dimension to make its programme’s Arianna’s red string the Mediterranean indeed. Culture is not the first word that comes to mind when thinking about Marseille: the second largest city in France, notoriously unsafe and dangerous, especially according to the French media who have recently reported several incidents of gun shootings. This is why the title of European Capital of Culture provides Marseille and the surrounding area of Provence, including the towns of Aix, Arles and Aubagne, with a significant opportunity to change its image. Marseille, a lively multicultural city and ancient Greek port, still continues to live from the sea. Walking from the Gare St. Charles, you can already feel it: the sound of people out in the streets and the view and smell of the sea… Marseille-Provence 2013 has extensively worked on this dimension to make its programme’s Arianna’s red string the Mediterranean indeed. And so it was, on 12-13 January 2013, that a full year of performances, exhibitions and cultural events and exchanges saw its start. 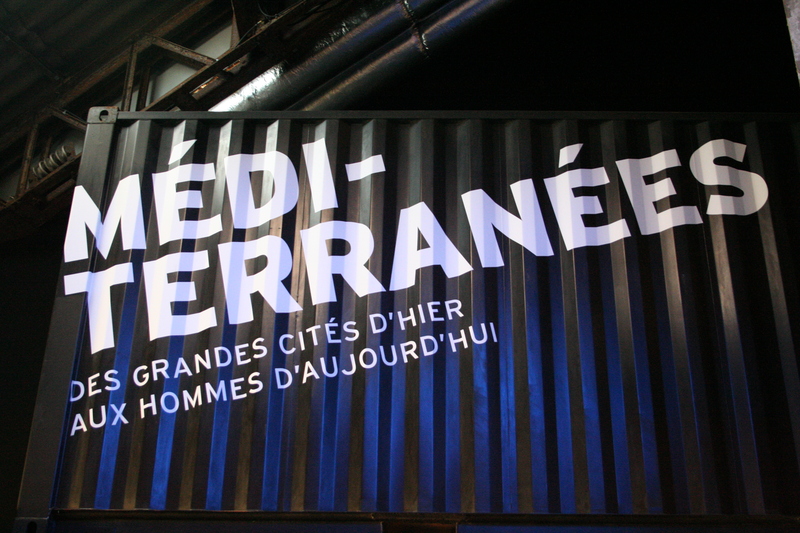 The first step to plunge into Marseille-Provence 2013 is to visit the Pavillon M (Pavillon de Marseille): this centre is open for the entire year and in it you can discover Marseille and Provence through videos, maps and interactive devices. In the building, it is also possible to collect information about the programme of Marseille-Provence 2013 and, when needed, buy tickets. Pavillon M is situated in the area of the Vieux-Port, a small harbour overlooked by Notre-Dame De la Garde from one of Marseille’s hill tops. The Vieux-Port, characterised by numerous touristic restaurants, can be pleasant for a walk, for shopping at the fish and flower markets, and for enjoying the view of the boats anchored there. For the occasion of Marseille-Provence 2013, an interesting mirror canopy has been built and animal-shaped sculptures have been collocated in the main quay. The city harbour has been central to the immense urban renovation of the city. From 1995, renewal started with the private and public initiative of Euromed (Euro-Mediterranean project). 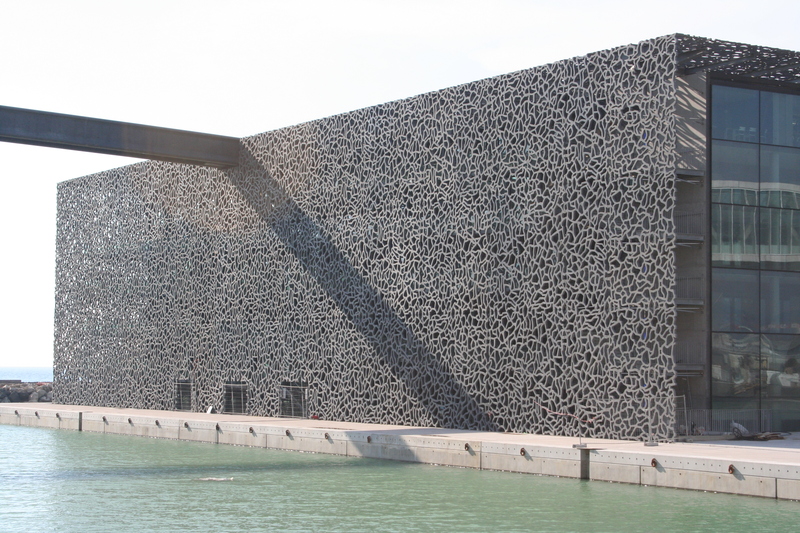 In fact, Marseille-Provence 2013 counts upon several new cultural infrastructures built or remodelled by prominent architects. Some worthy of mentioning are the Mucem (Museum of Civilisations from Europe and the Mediterranean) by Rudy Ricciotti, the Villa Méditerranée by Stefano Boeri, the Frac by Kengo Kuma, and the J1 Hangar by Catherine Bonte which will offer a new shape to the harbour. Unfortunately at the moment, this vision is slightly hindered by the on-going construction sites, still there even three months after the launch of the Capital of Culture. The above-mentioned J1 Hangar, from where it is possible to enjoy a beautiful view of the Cathédral Notre-Dame de la Major, is already accessible and utilises a space of 6000 m2 for exhibitions and other events such as performances. Until 18 May, it will host the exhibition “Mediterraneans. From yesterday’s cities to today’s men”, an itinerary narrating the history of the Mediterranean through the histories and descriptions of eleven port cities (Troy, Tyre, Athens, Alexandria, Rome, Al-Andalus, Venice, Genoa, Istanbul, Algiers and, of course, Marseille). The exhibition combines historical objects and recent video-interviews reporting on different topics, and revolves around history and current societies trying to understand what it means to be Mediterranean today. Bravely someone has already offered her answer, writing in the guest-book: «I feel fully Mediterranean, thank you for this new identity. 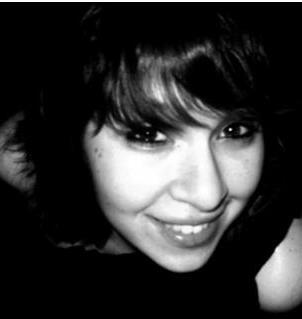 Julie». Walking from the centre to the periphery of the city, another very interesting cultural infrastructure is La Friche Belle de Mai, which has also benefited from the Euro-Mediterranean project. Situated in its namesake neighbourhood Belle de Mai, this former tobacco factory was turned into a cultural centre in 1992 and, after two years of further renovation, it has reopened. It’s an impressive multi-purpose space open for exhibitions, ateliers, theatre, shows, cultural activities and cultural organisations’ offices. Here you can also meet friends for a glass of wine or dinner, teenagers can skateboard, and parents can bring along their children to play in the outdoor spaces which include small gardens. La Friche Belle de Mai hosted until 31 March “Ici, ailleurs” (“Here, Elsewhere”), an exhibition which brought together thirty-nine artists from the Mediterranean area, showing sculptures, paintings and photography. Two of those artists have taken part in the project “Les Ateliers de l’EuroMéditerranée”, which consists of residences of artists in unusual places outside the cultural field, aiming to support contemporary creation, shape a new artistic production model, and involve new audiences. Marseille-Provence 2013 offers around six hundred events throughout the year. In the coming months, interesting events such as the exhibition “Le grand atelier du midi”, the “Transhumance” performances, and the festival “This is (not) music” are waiting to be experienced. 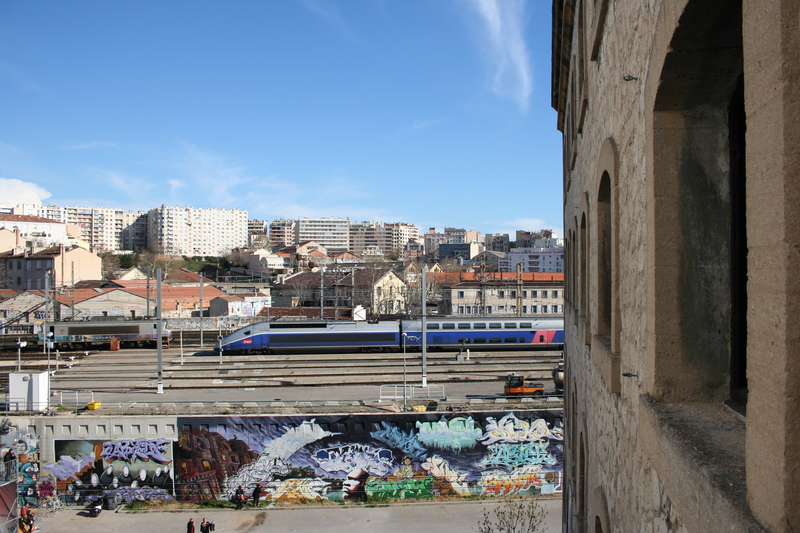 The investment undertaken for Marseille-Provence 2013 is surely visible through the new buildings, or new uses of old ones. The biggest challenge will be to insure the long-term effects of cultural and social directives which refer to the city and to the Mediterranean as a whole: will Marseille-Provence 2013 be a turning point for Euro-Mediterranean cooperation?